Balbir Verma (alias Bittu Verma) filed nomination as an independent candidate from Chopal assembly segment today. 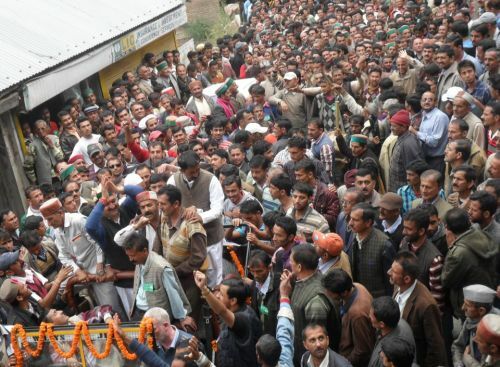 He was accompanied by the large numbers of supporters from Chopal, Nerva, Kupvi, Tharoch and Balson during the election rally. 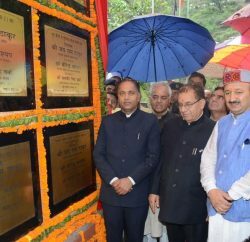 While addressing the huge gathering, Balbir Verma stated that in the last three decade development of the Chopal has come to standstill and promised overall development of the region. He said that initially his main focus will be on roads and other basic amenities. 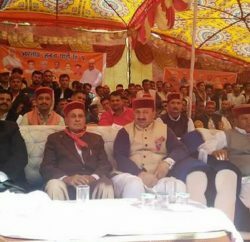 Many prominent leaders of the region also spoke on the occasion and urged electors of Chopal to rise above the regionalism and asked them to vote for the development of the area. They said that many far-flung panchayats and its headquarter in Chopal tehsil are not even connected with the roads facilities and it is a matter of shame that even after 60 years of Democratic rule, many of us are longing for the basic amenities. They blame regions biased leaders for it.